Have you ever wanted to listen to indie pop while underwater? Sure! Put on the latest track from Pavo Pavo and you can without getting wet. The dreamy two and half minute Close To Your Ego begins with oddly aquatic elements, reminiscent of a lapping sea and bubbles bursting. It feels like floating along an ocean current which, in the context of the album, is headed for troubled waters. 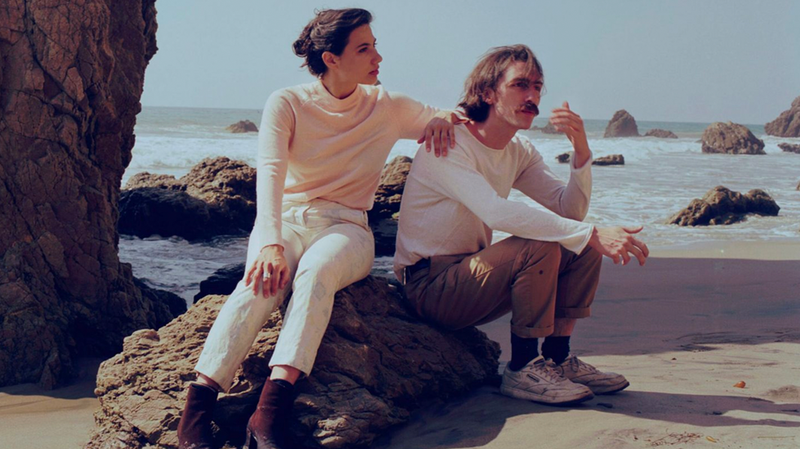 This latest single is from the duo’s second album Mystery Hour, which documents the end of Eliza Bigg and Oliver Hill’s six year relationship. In the track we hear about the role of ego in love, written with the emotion of two people navigating the waters of a breakup. Bigg’s soprano voice lends a tinge of twee, but layered on top of twangy 50s guitars and a thrumming bass line, it avoids being saccharine. The beat is rooted in R&B until we reach the midway mark when things start to get a bit more rock and roll, then to flirt with even more genres, orchestral strings are introduced. Ending on a crescendo, the song leaves us hanging for the next chapter of this romantic melodrama.